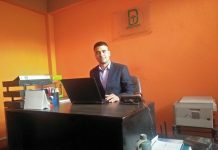 ‘Unexpected changes came in the IT sector; I do not know how I entered this area was, when I think about it, I get amazed.’ Without any plan, without any formal education, Biplav Man Singh experienced this sector. At the beginning of the conversation only, Biplav Man Singh remembered his past days. The thing is about 1988 when in Kathmandu with some people’s cooperation Cache Trading House named Computer Sales Company was started. Before that, there used to be desktop designing work. At that time, In India Apple, Computer was about to give training, so there was no use of sending the person who works on the desktop. One man who can speak good English was in search, and his friends choose Biplav Man Singh for that. But, that training took place in Nepal only in which Biplav Man Singh took the lead. That was the first time he took a step towards IT. Statistics, Economics and Law University’s study took Singh to another mode. Neither business or IT nor Journalism. Bringing three different subjects’ study in one for a career, took an exciting transition in Biplav Man Singh’s life. Though studying about other subjects, work and capability can be used as interference in the IT sector, Biplav Man Singh has become an example for this sentence. Having age of 45 enjoying spring, Biplav Man Singh’s 30 years’ experience in IT is about to be written in his ICT profile. Singh, who was born in Kathmandu valley on 2023 BS was a very naughty-nature child. He has a fun experience of failing in class 8. His success is joint with his happy family including his wife, one son and a daughter. Having a thought that two-time meal is enough, Biplav Man Singh doesn’t have personal more massive schemes of life. Singh says that Government job is only done by lazy people. He has got an understanding that a dynamic person never does a government job. Singh who has the thought of doing something unusual was never attracted towards government job. When he started his career in IT, there was only 10 MB hard disk in Apple Macintosh Classic. Windows was taking the beginning step, at that time a single computer used to cost around more than 1 Lakh Rupees. Until then, in 1989, there were only five dealers including Nepal Cache Trading. Before that, the pilot used to bring one or two computers from Hong Kong. Singh, who attended the training given by Apple on Computer Sales Marketing, was a journalist before he put his hand on IT Business. Perhaps only a few people might know about his journey of journalism. He used to work in Daily Dairy Magazine as press manager and used to write about common lines for years. His pen didn’t stop there, though his hand was on business, he continued writing. He wrote articles for many newspapers, other than that; he also published some paper himself. Before the trade, Levitre Newspaper’s publisher, Mr. Singh has experience of becoming an editor for Gaijatra and also have published comic magazines. In 2010, he posted a newspaper named Tech Info, but later on, because of certain circumstances, he took leave from that magazine. Now also, he has published some of his articles in the newspaper. Today’s change in Information and technology is the revolution of overall technology, according to Singh. When there was no hard drive, the floppy disk was used, but now there is terabyte hard disk. Singh believes that all this is the revolution of technology. In the information revolution only, overall technology revolution has started. Now, technological enhancement has taken place. He understands that, from the 1st computer made in 1979 to 30 years journey of technology, technology has taken another unfolding mode. He said that because of the small markets in Nepal, it couldn’t compete with international markets. Again, this technology is not limited in any country but has an attachment to the world. Like Facebook, where, there are more than 90 crore people from the whole world in the same place. “Think globally, act locally,” in this concept also Nepali will be able to do many things, Singh is excited about this. Rather than worrying about nothing can happen in Nepal, we should think about the revolution of the advantage of technology, this is the main thing said, Singh. 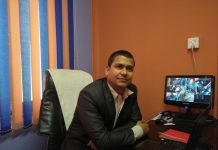 Including software and other areas, Nepal can do many things, but the main reason behind it is the country’s politics. The idea behind the failure of e-governance is also the useless politicians, said Singh. 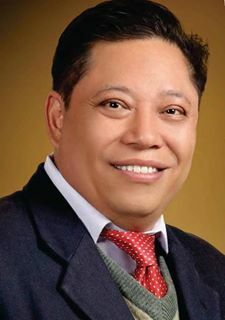 In Computer Association of Nepal (CAN), Biplav Man Singh played a vital role. To take CAN InfoTech in a successful business, he played a remarkable character. From 2004 to 2008, while he was the president of CAN, he expanded CAN in other many places and also did the beginning of Soft Tech. In his office, from CAN, including C.N. Upadhyaya left CAN and formed ICT Association. When Biplav Man Singh entered the CAN, he was very excited. In 2008, in the election of CAN, some friends encouraged him to be vice-president, and then he entered in CAN organization, said, Singh. Now, in Commerce and Industry Organization, Biplav Man Singh represents the union. The reason behind leaving CAN and go to FNCCI was to invest in the IT Environment. Some of whose works have been positive said, Singh. To give placement for innovative ideas and to find investment environment, some plans and programs are about to launch, said Singh. In Nepal, big industrialists are not coming for investment in IT, so this situation must be corrected. Mr. Singh who has done many good deeds in other organization didn’t enter politics, why is that so? In this question, he did an enormous grin and said he is not interested in politics. And now, he is working on adapting to youths for leadership. Nepal has got many possibilities; he is not satisfied with the custom of teenagers going abroad. He said that in Nepal, tourism, IT has got big chances but country’s youths are not being able to understand it. It is said that life is not like what you think; Biplav Man Singh’s life also became like that. The unexpected change brought him in this area, said Singh. He said in life he has to find happiness and sadness. He became third in Gorkha Dakshin Bahu for the first time. Many organizations honored and awarded him. The organization, CAN, where he worked also got various honors and reached a level high, for this, he played a significant role. It’s not compulsory to go in hi-tech only, you can also go for high touch, and Singh’s this thought is carrying a change in it. 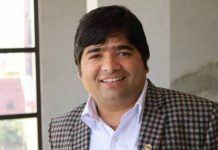 ‘In life, the person working in a newspaper started selling computers’ said Singh’s changed career got many contributions towards Nepal IT Sector.